One cannot talk about Sencha tea without talking about the history of tea in Japan. Sencha is the most consumed beverage in Japan, whose beginnings date back several centuries. Tea was introduced to Japan in the 9th century via a cultural exchange with monks although it did not really take hold until the 12th century when Emperor Saga encouraged tea plant growth. This allowed tea to expand from religious use to upper class consumption. At the same time Japan adopted an isolationist policy, stopping communication with China, which left Japan to develop its own distinct way of manufacturing tea. Whereas most Chinese teas are pan fried to stop oxidation, most of Japanese green teas are steamed to stop oxidation. 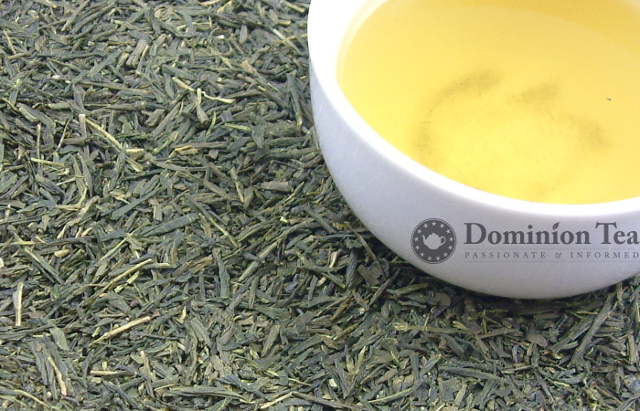 This gives the tea part of its distinctive flavor and bright green color found with the first forms of Sencha. Japan, more than other tea drinking countries, has mechanized most of tea making process. This mechanization, along with local demand for tea, has lead the industry to focus heavily on cultivars that work well with the harvesting machines while still maintaining the flavor characteristics expected from a Sencha. The main cultivars used for Sencha are yabukita and okuhikari. Shincha or Ichibancha This is the first month’s harvest of Sencha. This Sencha is very hard to come by outside of Japan since it is highly prized. It typically comes to market in late April through May. Kabuse Sencha or Kabusecha This is Sencha that has been grown in the shade about a week before harvesting. This is a milder Sencha in flavor. Asamushi This is a Sencha steamed for less than the traditional 15 to 20 seconds to stop oxidation. Chumushi This is a Sencha steamed for 30-90 seconds. Fukamushi or fukamushicha This is a Sencha steamed for 60-120 seconds. As defined by the North American Tea Championship, a Sencha will have flat green needle shaped dry leafs with a grassy smell. The wet leaves will have a rich green color and fresh aroma. The liquor will have a light green to bright gold color with possible particulate and the taste will have grassy and briny notes with a medium to full-body feel. For the rest of us, to get that taste, we need to steep the Sencha between 175° to 180° Fahrenheit. Should you choose to try it at the boiling point of 212°, most of the complex flavor will be lost to the heavy astringency and with some Senchas it tastes more like a mouth full of briny ocean water than anything else. In fact, it is mistakenly brewing Sencha and other green teas with boiling water that often turns people off to green teas entirely. 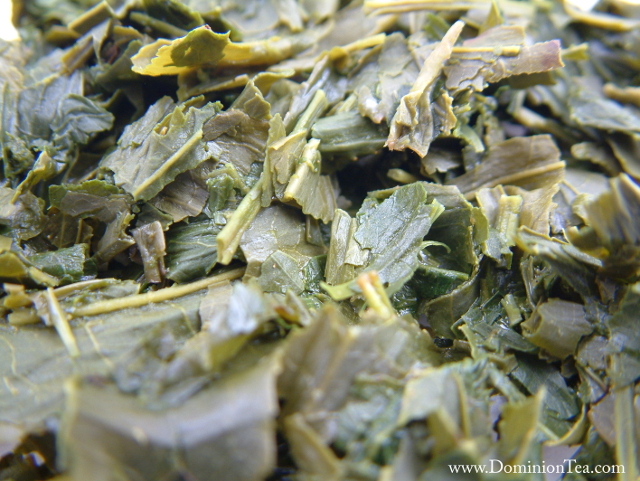 If you are new to Japanese green tea, Sencha is a great starting point. If this is a tea you consume regularly, try cold brewing it for summer (unlike black teas, green teas often do not brew well with conventional iced tea machines). It is a very refreshing way to enjoy this tea on a hot summer day. Kevin Gascoyne, F. M. (2011). Tea: History Terroirs Varieties. In K. Gascoyne, F. Marchand, J. Desharnais, & H. Americi, Tea: History Terroirs Varieties (pp. 98-99). Firefly Books Ltd. This entry was posted in Tea Production, Types of Tea and tagged Japan, Sencha Tea, Tea. Bookmark the permalink.